Any serious contender for the ‘Worst-ever Chess Book Award’ needs to display a comprehensive range of defects, for the competition is tough. Spectacular incompetence with basic facts is a sine qua non. There must also be many typos (or ‘mere typos’, as some self-exculpatory authors like to call them), with at least one or two jumping out to hit the eye from almost any page where the opened volume happens to expose itself. The prose should be excruciating. Wily and/or inept propaganda is de rigueur. As its crowning glory, the book should contain the uncredited lifting of other people’s writing, whilst also featuring self-congratulatory words about its superiority over rival titles. 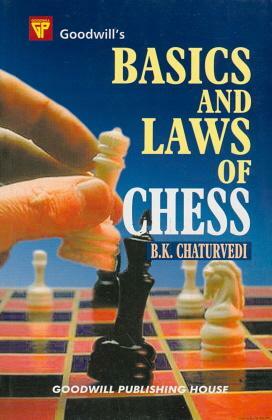 At this point, a number of readers will naturally be anticipating the nomination of Nathan Divinsky’s The Batsford Chess Encyclopedia, but we intend to consider another front-runner, a 191-page hardback published in India in 2001: Chess (Basics, Laws and Terms) by B.K. Chaturvedi. His Preface includes the observation ‘this book starts with the presumption that the reader is totally uninitiated’, but the reader ends with the presumption that it is the author who merits that description. Page 187 defines the ‘Closed Game’ as ‘Types of opening with 1. 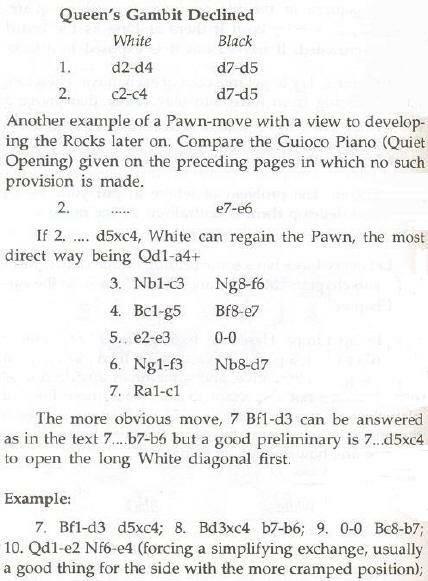 P-e4, P-e4.’, while page 189 supplies this explanation of ‘Open Games’: ‘Games played with not the standard type of openings like e4 etc.’ On page 188 we are told that ‘Control’ is ‘A Piece controlling a square without the square being accessible to it.’ The definition of ‘Zugz Wang’ (page 191) begins not with a sentence but with a string of words: ‘A situation where the obligation to move is less than a handicap because any move likely to damage the position of the mover.’ Full stop. The spelling ‘Zugz Wang’ comes as no surprise, since from the outset the author demonstrates indifference to the way words in any language end up on the printed page. Page 4 advises how to write the word ‘chess’ in various languages (e.g. ‘Schah’ in German, ‘Schak’ in Danish and ‘Seacchi’ in Italian). As regards blindfold chess we are unaccountably informed on page 140 that Capablanca ‘is believed to have started this tradition’. On page 7 it is called ‘bling-fold’. Typos exist by the basinful. Information, of sorts, is offered on such masters as ‘Labour Domais’, ‘Steintz’, ‘Nninzovich’, ‘Enwe’, ‘Resbevsky’ and ‘Rober Fisher’, as well as ‘the famous chess historian Musray’. On page 9 we learn that Emanuel Lasker (‘Emmanuel’ and ‘Emanual’ are the book’s variant spellings) ‘remained world champion for a very long period (1821-1921) which is still a record’. And so it should be, given that 1821 virtually predates the chess career of Labour Domais. The following page records that at Hastings, 1895 three of Pillsbury’s opponents were ‘Schtechter, Schlecter, Jauowshi’. In some passages it is unclear whether the text was typed or something fell on the keyboard. For all this, of course, Anand himself is blameless, just as it was hardly Nigel Short’s fault that a small number of British ‘chess writers’ elected to slop jingoistic treacle over his shoulders before, during and after his 1993 match with Kasparov. The plagiarism concerns not a handful of isolated passages but almost the entirety of the Purdy/Koshnitsky book. It must be hoped that the Australian publishers will take appropriate action. 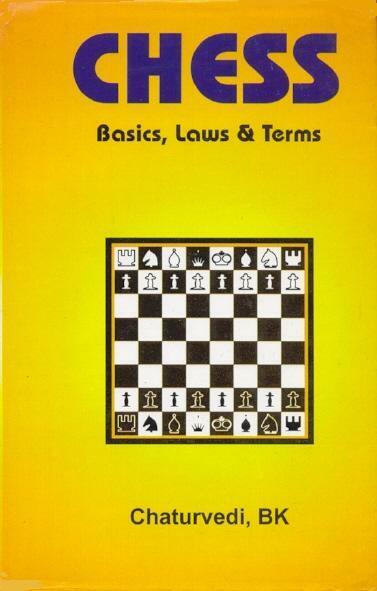 Chess (Basics, Laws and Terms) by B.K. Chaturvedi was brought out in 2001 by Abhishek Publications, 57-59, Sector 17-C, Chandigarh-17, India. Note: This article originally appeared as C.N. 2750. See also C.N. 4683.